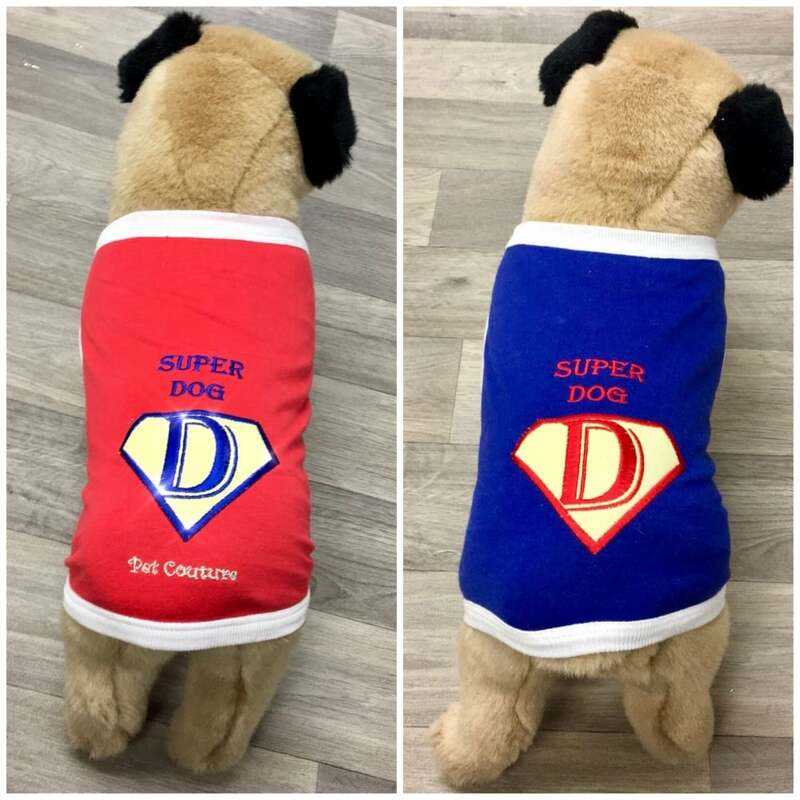 A Super Dog T-Shirt with embroidered writing and motif. Superrrrrdoggggg. Have some fun with your dog. This T shirt is sure to turn heads. Delicate machine wash. Do not use chlorine-based bleach. Low temperature iron. Dry clean. Do not tumble dry. Dry flat.